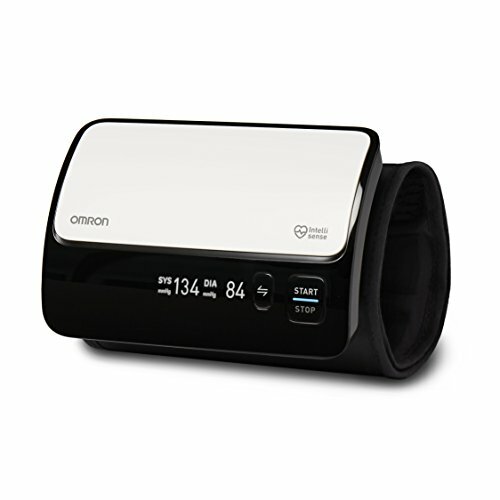 This innovative upper arm one-piece blood pressure monitor uses our exclusive heart health algorithm, advanced accuracy. It measures more data points and eliminates interference from movement for more precise, clinically-accurate readings. It’s also redesigned from the ground up. We’ve eliminated the tubes and wires, making evolve our most portable upper arm monitor ever. Plus, it’s sleek, contemporary design and highly intuitive controls make it easy to set up and use. The evolve wirelessly connects via Bluetooth to the Omron connect app on your smart device to track and store your readings over time.